Are Dolphins #2 in the World when it comes to Intelligence? There have been plenty of studies on intelligence of people and animals over time. 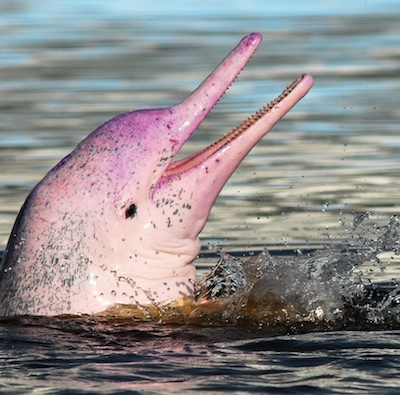 What some of this research is indicating is that dolphins rank #2 – behind only humans. This information is based on MRI scans of the brain that indicate they do have a high level of self-awareness. What is also interesting is that the brain of dolphins could prove to be quite vulnerable to traumatic experiences and suffering, just like humans. Studies that have been done to determine overall brain power put humans as #1 and dolphins as #2. New research has been able to show that dolphins do have skills and forms of awareness that were once thought to be unique to only humans. The information determined from MRI scans also shows that the brain of a dolphin is about 4 or 5 times larger than it should be based on their body size. This information is based on comparisons to other animals that are close to the same size. One of the leading experts in the world on dolphins is Lori Mario who is a Senior lecturer at Emory University in the area of Neuroscience and Behavioral Biology. She has done many MRI scans on dolphins. She also believes that using the brain to body ratio formula that dolphins would indeed by behind humans. The findings of such studies have been presented by Marino in various capacities, including at the American Association for Advancement of Science. She does state that size is only one factor but that there is plenty of other data to support the claims about dolphin intelligence. The neocortex is the part of the brain that allows for higher levels of thinking to take place. This is also where emotional information can be expanded for dolphins. There are studies on dolphin behavior that Marino and other experts have conducted that show these animals often can exhibit skills similar to humans. For example, being able to recognize themselves in a mirror. They are also able to identify abstract concepts, learn symbol based communication programs, and they also take part in cultural learning based on the group they belong to. This information is why Marino doesn’t feel it is a good idea for marine parks to take part in teaching dolphins to perform or having them involved in dolphin assisted therapy. She and some other experts believe it could be harmful on a psychological level to them. They also worry it could give humans a false interpretation about the intellectual abilities of dolphins. This information stems from the fact that when a person or an animal is highly aware of their circumstances they notice the differences between a good situation and a bad one. Negative feelings can occur for the dolphins due to them not being able to continue in a natural setting versus being in captivity. The emotional elements of dolphins are very high, much like humans. There have been reports of dolphins becoming so upset during herding by boats that they can die of a heart attack. They can also die from exhausting due to their instinctive nature to flee from the situation. Those that are captured and then transported to captivity facilities can suffer a great deal of emotional trauma. Diana Reiss, a Professor of at Hunter College in the area of Psychology also believes that Marino’s data and conclusions are solid. She plans on presenting similar information and to support this information about dolphins in an effort to make people more aware. Not only of their intelligence, but also of their emotional processes.